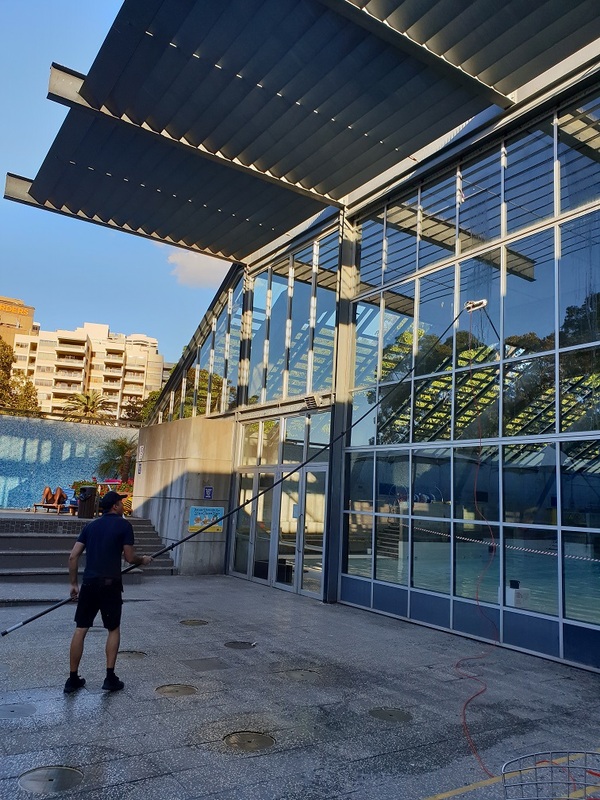 At Sydney Window Cleaning we are renowned window cleaners that provide a professional residential and commercial window cleaning service. Our experienced window cleaners lead the industry in excellent customer service and reliability. No job too big or small. We really are the one size fits all company. If your are a Sydney local and are looking for a nearby service, we invite you to give us a call! We Care: Our staff will arrive on time, and will communicate with you clearly to ensure that nothing is lost in translation. We are only a small company so we are happy to adapt to you. As a family owned and operated company, we will show respect to both you and your property and can guarantee that you will be more than satisfied with the finished service. Attention To Detail: We will not leave any drips, streaks or scratches. We will clean every bird deposit, we won’t knock over your pot plant, and we will pat your dog. Basically, we will show the same respect to your property that we do to ours. 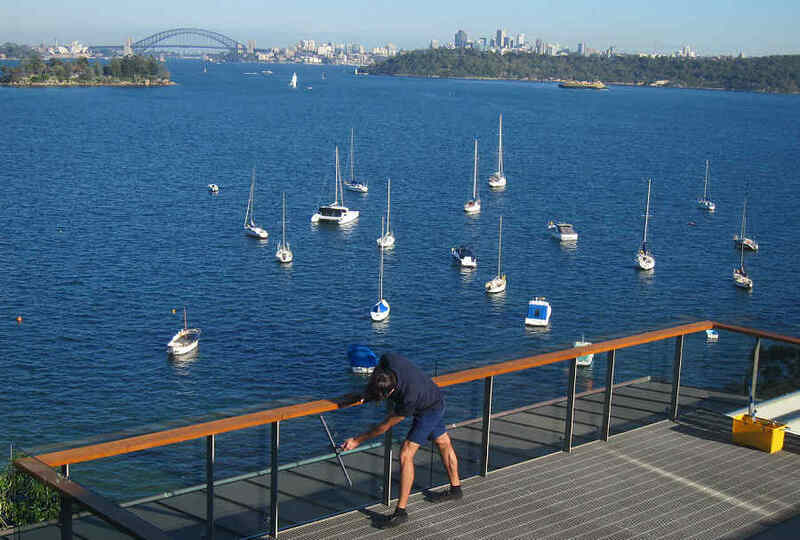 Window Cleaning Sydney homes and businesses with precision and care. A standard gained through years of experience. 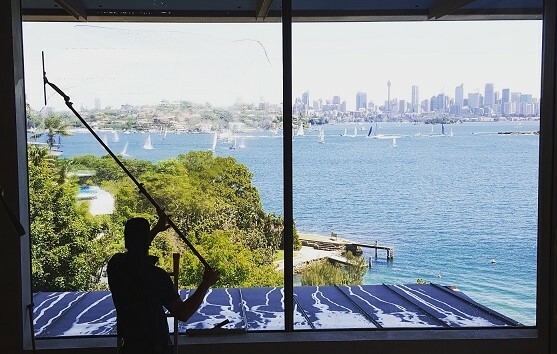 We are your local window Cleaners: We live in the CBD and Eastern Suburbs, so we know the local conditions. will not get stuck in the traffic. And will be there as soon as the rain stops, and we are always just a phone call away. We are local window cleaners in your community. Trusted by residents in the Sydney area. The Best Equipment: If your windows are high up or hard to reach this is not a problem. 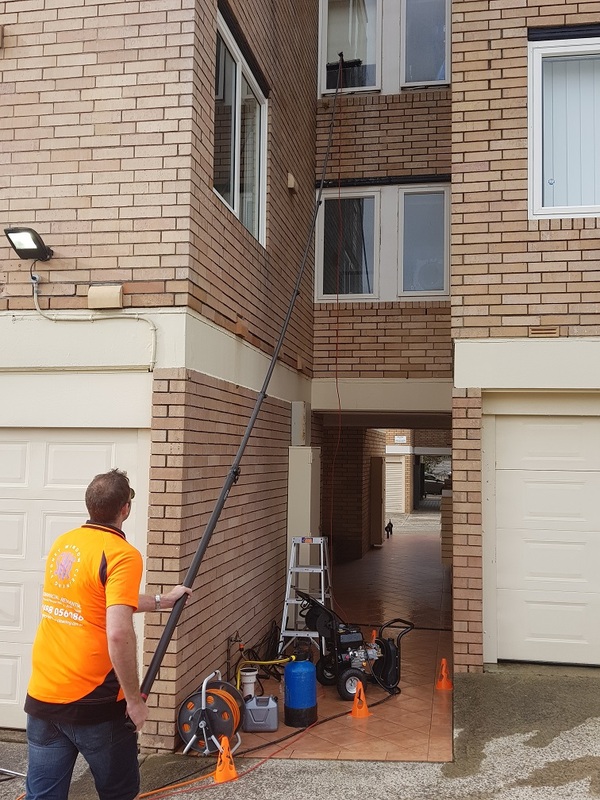 Using our Gardiner carbon-fibre extension poles, we have been safely cleaning windows up to five stories from ground level. 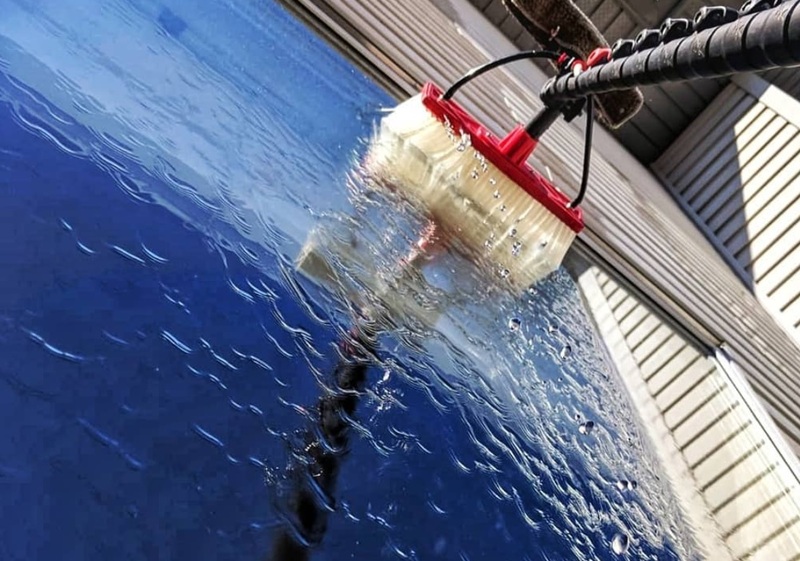 We use de-ionised pure water technology which cleans the glass well and leaves it glimmering. Whether residential or low-rise commercial, this is the easiest, safest and most effective way to clean your glass. The Best Standard Of Window Cleaning: We use proven methods that not only make sure that your windows are gleaming today but ensure that they will stay clean longer. And we use plastic tipped squeegees so there are no scratches. Our environmentally friendly cleaning solution, not only does not harm the environment but does not degrade your seals and screens like some of the solutions that our competitors use. Competitive Prices: We offer rates that our competitors can not because we do not have the big overheads that our competitors do. We have the same standard of insurance and use the best tools in the trade, but we do not make you pay for our advertising and company cars. For regular services, we can offer a big discount. We can try and price match too if you get a better quote. Above standard cleaning with below standard prices. Fully Insured: As a professional window cleaning outfit, we have all the necessary insurances. It’s important to be careful and so we take all the precautions. We rarely use two story ladders but prefer to use our purified water fed pole system to do the work! It’s so much easier, quicker and safer. Our carbon fibre poles reach up to five stories for the most efficient cleaning method. The customer is always surprised at the superiority of the new way of glass cleaning! Competence: The main reason you are getting us out is to do a good job of your windows. Did you know that residential jobs are usually more challenging than commercial? This is because there is much greater diversity in the type of window and the way they are placed. We have done thousands of windows and so can intuitively work out the best approach for any window. Reliability: Sometimes the weather is bad and so it is reasonable for both you the customer and us as the window cleaner to reschedule the job. Of course, you would like to know what is going on. If conditions are fine then you would like the arrangements to be met. No one likes to be left hanging! Trust: The window cleaner will need to spend some time on your property so you will want someone trustworthy. But one thing is certain – we have built up a record of trust with our clients. Some of our window cleaning customers have been using us for many years. My windows never looked so good! Thanks for the prompt, professional and friendly service. More than just a domestic service, we also work on Sydney council and low-rise commercial buildings. We invite you to give us a call and try our service. There is no window that is too difficult to clean. If you want to make a price inquiry or seek DIY guidance, we can steer you in the right direction too. We have over 10 years experience in all types of glass and window cleaning so you can be confident that we know what we are doing. Our team is well trusted, very friendly and provides a great result. No wonder our customers keep coming back again and again!